[Cutting-edge 7. 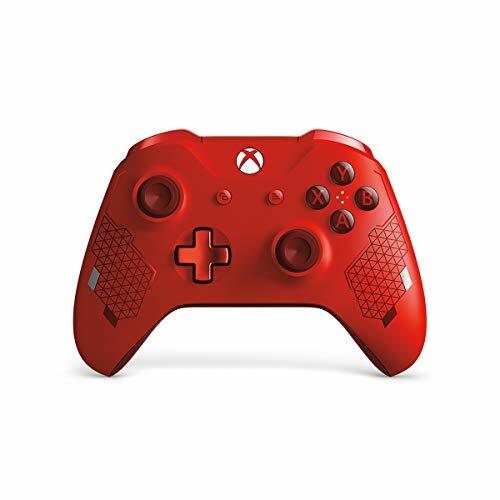 1 surround Sound Stereo Pro] collect very Sonic detail, from every angle, RUNMUS Gaming headset exposes the exact location of your opponent with the 4D display from the cutting-edge 7. 1 surround Sound Stereo Pro technology. Industry-leading 50mm driver delivers super deep bass. 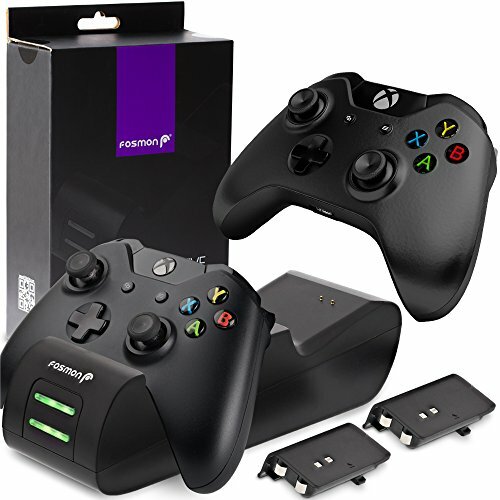 [Unmatched Comfort over-ear headset] RUNMUS Xbox One gaming headset provides unmatched comfort in long-session games. The upgraded breathing foams on ear cups and headband provide an excellent cushion between the headphone and the head of users, Plus greatly enhance heat dissipation. 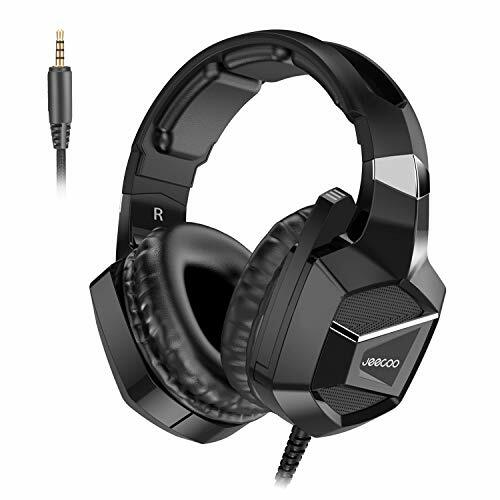 [Great wide COMPATIBILITY] This gaming headphone with a 3. 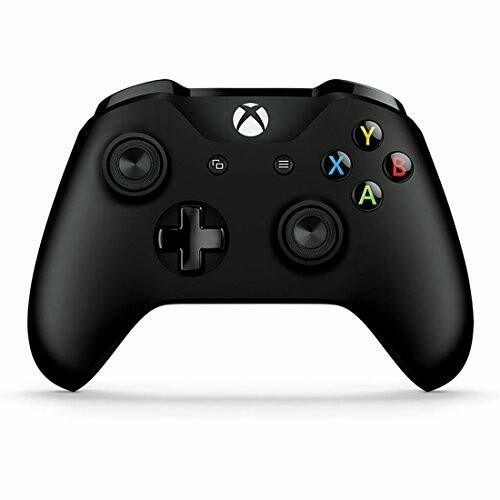 5mm Audio jack is compatible with PC, PS4 Controller, Xbox One controller: newer models have a headphone jack, older ones require an adapter), Nintendo Switch (Audio), Nintendo new 3DS LL/3DS (Audio), Nintendo 3DS LL/3DS (Audio). [200% Satisfaction ] every RUNMUS Gaming headset will go through a strict quality test process before sending out. 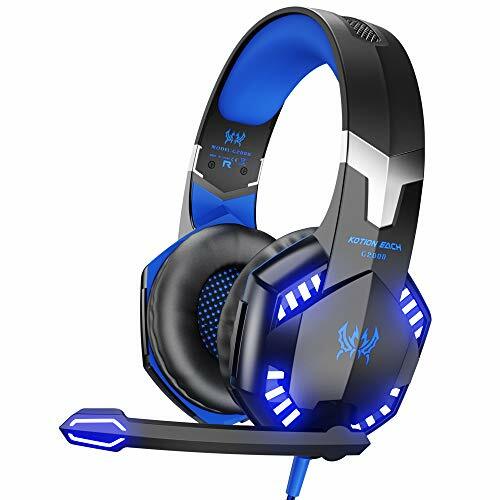 We promised to bring the best quality gaming headset to our customer. 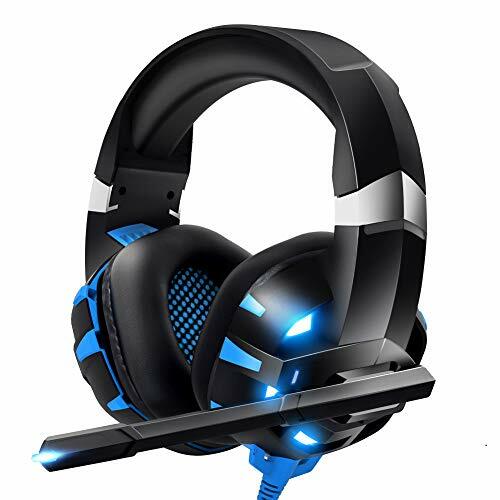 From the day of purchase of RUNMUS Gaming headset, We offer a 12-month to our customer. Every customer's right is fully during the period. 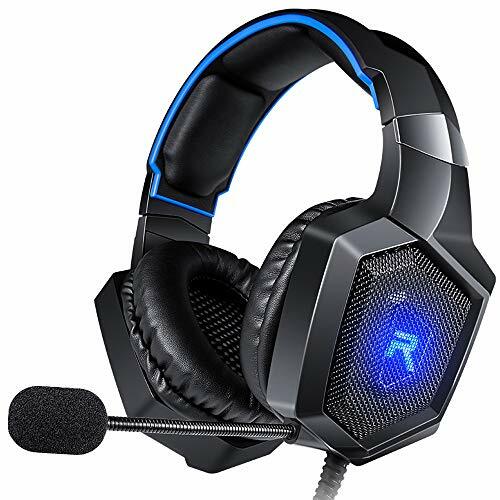 RUNMUS Gaming Headset- A comfortable headset for long gaming hours and great audio reproduction to hear everything around you. BREATHTAKING SOUND QUALITY With high precision 50mm audio drivers, RUNMUS gaming headphones deliver a surprisingly good level of audio performance. Its uniquely immersive audio experience makes you feel like you're inside the story. 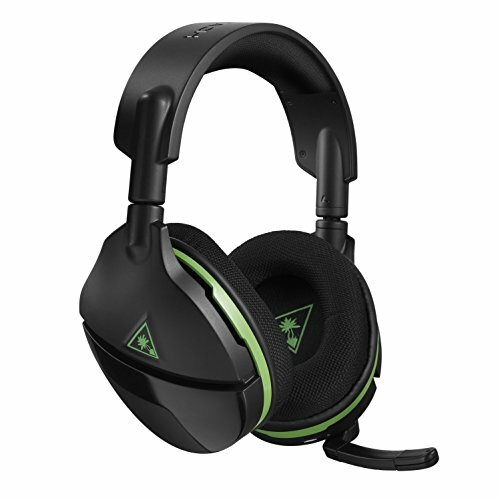 All-DAY COMFORT Air permeable protein over-ear earcups provide comfort for multiple hours of gaming. The headband is sturdy and has a decent amount of padding on the underside. It can be difficult to enjoy a long gaming session when this xbox one headset you're working with begins to get uncomfortable. 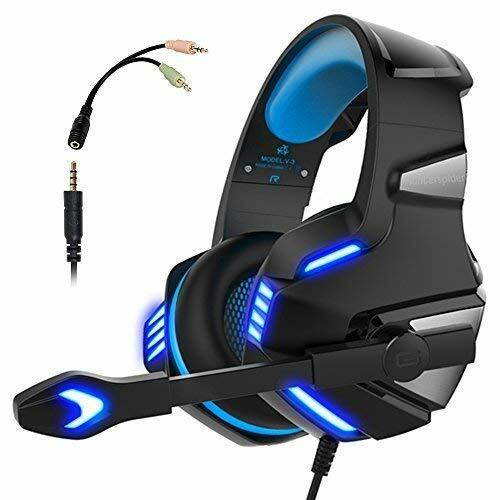 MULTIPLE PLATFORMS COMPATIBILITY This over ear headphones is compatible with various platforms such as PS4, xbox one(x/s), Nintendo Switch (Audio), Nintendo new 3DS LL/3DS (Audio), Nintendo 3DS LL/3DS (Audio), Windows PC, Mac OS PC, iOS Device, Android device, PS VITA, PSP with 3. 5mm audio jack. 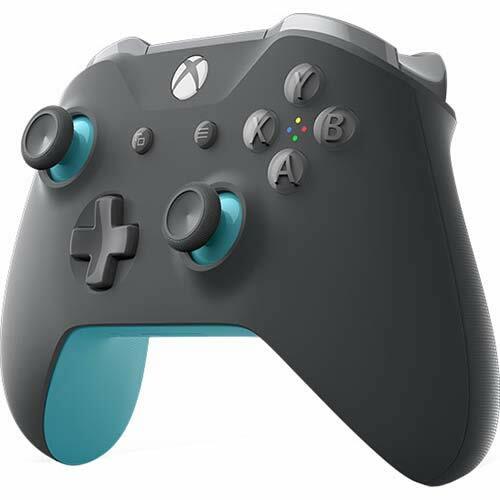 Please note that if you are using the first-generation Xbox One controllers, a separate adapter (not included) is needed for full functionality. 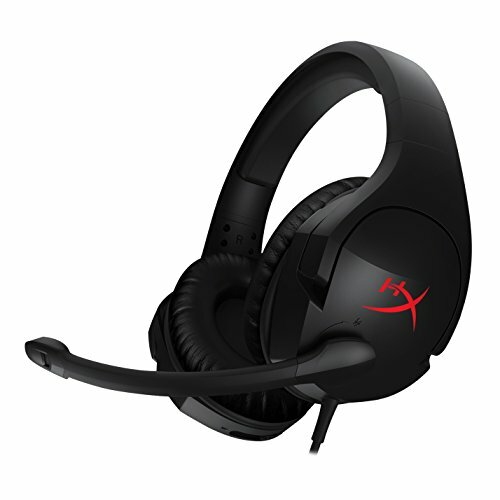 An industry leading gaming headset microphone is added that allows for crystal clear communication with other players. You'll find that repeating yourself often is not required and the mic is placed ergonomically in front of your mouth without getting in the way. 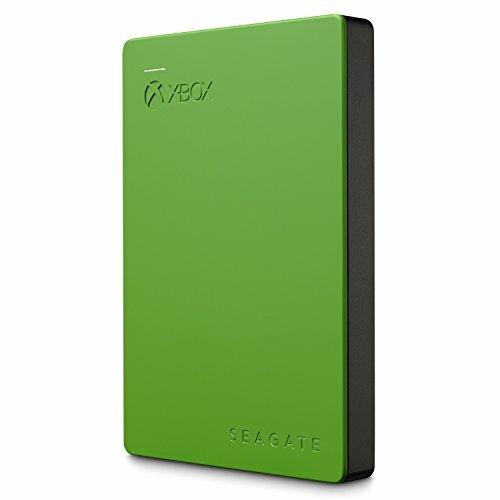 VIVID RGB LIGHTING Personalize your gaming rig with dynamic RGB lighting. 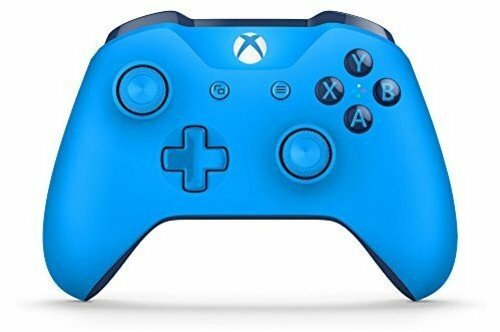 You'll get the stunning RGB lighting if you plug in with USB. Top-notch audio quality 50mm neodymium driver in each ear cup built into the RUNMUS gaming headset delivers virtual 7. 1 surrounding sound right into your ears. 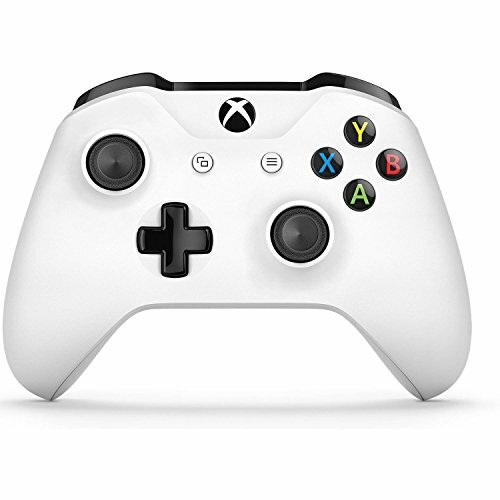 Hear your games come alive in ways you've never heard before and got the jump on your enemies with pinpoint positional accuracy. 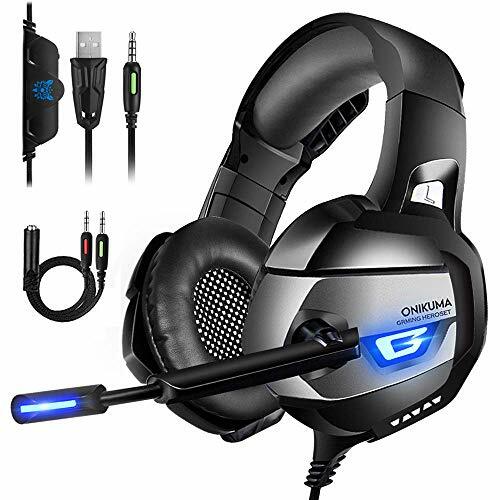 The perfect headset for various games like GTA5, Call of Duty, Battlefield 1, God of war, Star Wars Battlefront 2015 and so on. Supremely comfortable & Glaring RGB light Large over-ear earcups that are finished in a soft leather feel to provide long lasting comfort. You'll find yourself being able to wear this ps4 headset for multiple hours at a time without needing to take a break. Glaring LED lights designed on the earcups highlight the atmosphere of the game. Wide application with 3. 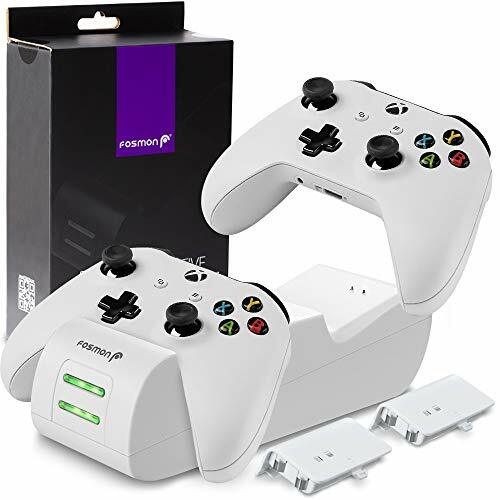 5mm plug Multiple platforms compatibility is offered that allows you to use RUNMUS gaming headphones with the PS4, Xbox One X/S, PC, Nintendo Switch(Audio), Nintendo new 3DS LL(Audio), Laptop, Mac, Tablet, and mobile devices via the 3. 5mm cable. 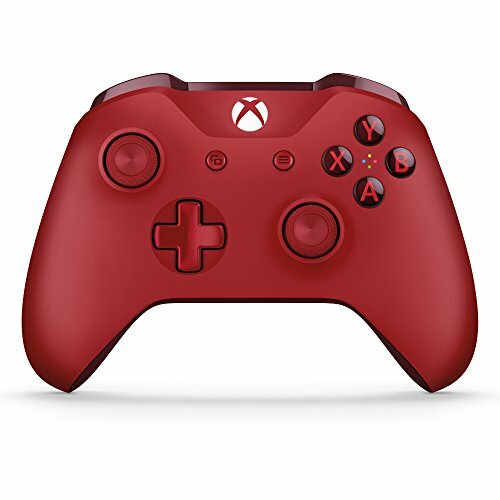 Please note a Microsoft Adapter will be needed(not Included) for old version xbox one controller. USB is for RGB lighting. 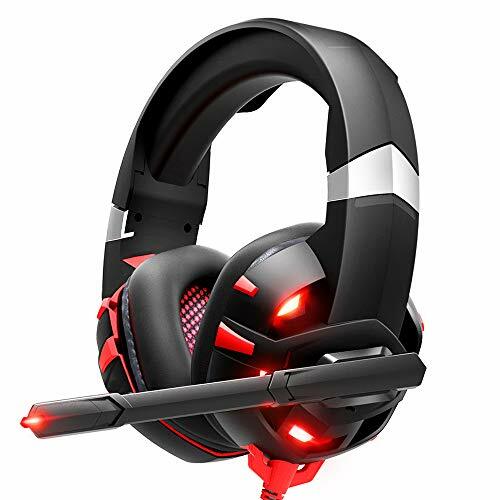 Noise isolating microphone RUNMUS PC gaming headset comes with a 160-degree rotating noise canceling microphone that is ergonomically designed. Your voice is 360 degree picked up well because ambient noise is minimized. You can be heard in relatively noisy environments without having to repeat yourself. 100% quality & 12 months Every RUNMUS gaming headset will go through a strict quality test process before sending out. We promised to bring the best quality gaming headset to our customers. 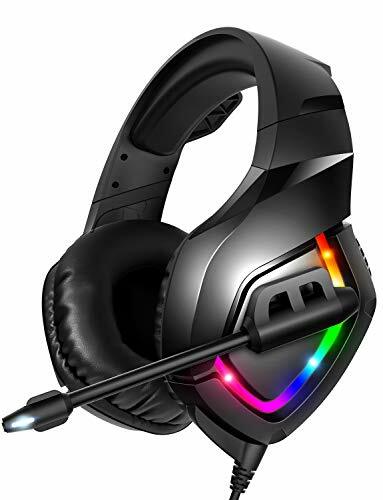 From the day of purchase of RUNMUS RGB headset, We offer 12 Months to our customer. Every customer's right is fully during the period. 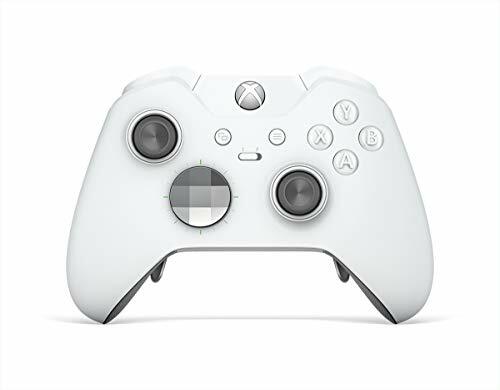 The Turtle Beach Stealth 600 White for Xbox One features Microsoft's Xbox Wireless direct to console technology and Windows Sonic surround sound, plus an all-new modern style with a flip-up mic. 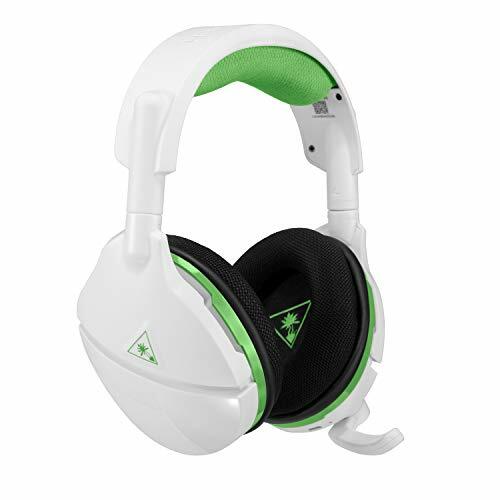 The Stealth 600 White delivers immersive surround sound plus chat audio through powerful 50mm over-ear speakers, and features Turtle Beach's renowned high-sensitivity mic that can be flipped-up to mute. For comfort, the Stealth 600 White sports the latest iteration of Turtle Beach's unique ProSpecs glasses friendly design and has a breathable mesh fabric-wrapped headband and ear-cushions. 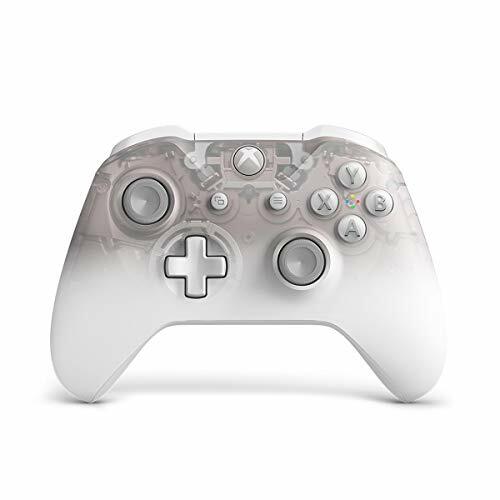 The Stealth 600 White also includes Turtle Beach's exclusive Superhuman Hearing sound setting, Mic Monitoring, independent game and chat volume control, audio presets including Bass Boost, and a 15-hour rechargeable battery.